With CAD designs being one of the most highly in-demand services for engineering work on contract and CAD design companies these days, both clients and designers would find it useful to have a related library containing useful information, tools and resources that they can access anytime, anywhere. This is exactly what CAD Crowd offers – a free CAD library, where they can learn everything that there is to know about 3D and CAD models and CAD templates. The CAD Library includes CAD symbols, CAD drawings and CAD blocks for engineers. Common CAD software in the block library includes Adobe, AutoCAD, Alibre-Design, CATIA, Google Sketchup, Pro/Engineer, Solid Edge, Solid Works and Revit. The popularity of online forums has brought about this instant sharing of ideas, which is exactly how the Free CAD Library works. Through it, you can share content with other users, download other members’ content or even find components for your design which are provided by actual industry engineers and companies. CAD designers will find it easy to increase their visibility, client base, establish their reputation and get instant feedback for their work. They can also browse through the Free CAD Library and get ideas for CAD designs, and even reuse the work of other engineers. With the goal of becoming the a leading engineering design and CAD services procurement, CAD Crowd definitely does provide benefits for buyers and designers through the easily accessible – and free – CAD library that they have onsite. Social Media Week Toronto will showcase a series of free sessions with leading social media experts designed specifically to help companies thrive in today’s ever-changing digital landscape. The events run from February 7-11 as part of a series of simultaneous global events in nine cities. “As the social web has moved from the fringe into the mainstream, its ability to impact business has increased dramatically. To explore this side of social media, we’ve curated a series of events during Social Media Week Toronto focused squarely on business”, says Eli Singer, founder and president of Entrinsic, a social media communications agency, and co-curator for Social Media Week Toronto. On February 8, Social Media Week Toronto event partner BMO Bank of Montreal will bring together social media industry experts Google, LinkedIn, The Globe and Mail, and Silver Lining for a session focused on small businesses. Entitled Business 3.0, the forum will offer social media strategies and tactics to help small companies grow their business and brand. “We are very excited to be creating a forum where our customers can come together to learn about how to use the social web to build their businesses and simplify their financial matters,” says Bal Sahjpaul, Director eChannel, BMO Financial Group. On February 9, Sysomos presents Using Analytics to Get the Most Out of Your Social Media Efforts, an event showcasing new tools to monitor, measure and analyze social media. Additional events targeted towards business growth, including Facebook’s The People Web on February 11, highlight the importance of creating consumer experiences and relationships, instead of simply trying to tell consumers what to think. Award-winning global PR firm Weber Shandwick hosts Defending Your Brand and Corporate Reputation in Social Media on February 7. This session will introduce FireBell, a crisis simulation tool developed by Weber that allows businesses to experience threats in real-time across an array of social media platforms in order to prepare for future reputation attacks. Over 45 free events are being delivered through Social Media Week Toronto. The sessions cover a wide range of industry sectors and conversations about the impacts of digital and social media on business, marketing, culture and society as a whole. Full registration for Social Media Week Toronto is now open. Follow them on Twitter at @SMWTO. Social Media Week Toronto is produced by Entrinsic. Global support for Social Media Week comes from headline sponsor NOKIA and supporting sponsors PepsiCo, Meebo, JWT and global media partner Weber Shandwick, along with local media partner Marketwire, all of whom have come together to make this possible. Intertainment Media Inc. has released the latest growth stats for its social media, real time, language translation platform Ortsbo. The service has doubled user engagement since December 2010 with over 54 million minutes of online usage. All other key performance metrics including Online Sessions, Page Views and Unique Users experienced double to triple digits growth in the past month. Ortsbo is breaking down the language barriers initiating new marketing programs in South America, South East Asia and India while continuing to expand programs in Asia, Europe and North America. According to published reports, by the end of its first year in 2004, Facebook had 1 Million users. By comparison, after just 7 month of operations, January 2011, Ortsbo already had almost 4 Million active users on a monthly basis, increasing 83% month over month, and is currently tracking at over 1.2 Million per week, well on its way to Facebook’s 2005 second year results of 5.5 Million active users. Ortsbo’s real time multi-session, multi-platform and multi-lingual application connects to PC and Mac computers, mobile devices as well as all major search engine chat platforms including Microsoft, Google and Yahoo! along with Facebook, iChat, AIM, ICQ, Gadu-Gadu, Ovi, Lotus Sametime, LiveJournal and Tencent QQ and QQ International, China’s largest chat platforms and Twitter. Ortsbo instantly provides real time translation capabilities to well over 1 billion active chat accounts in over 170 Countries / Territories. With beta trials expected to be completed shortly, Ortsbo is finalizing its commercial release schedule for its translation module for email applications. Ortsbo for Microsoft Outlook provides instant translation of both sent and received emails, with original language attachments, making it easy to communicate via email in multiple languages. The email plug-in module will retail for $29.95 US. Ortsbo also offers a secure, multi-user, multilingual chat module for the commercial market. With the accelerated growth, popularity and global reach of Ortsbo, as well as the upcoming commercial launch of Ortsbo for Outlook, the Company has engaged the Corum Group (Seattle and Zurich), a global leader in software mergers and acquisitions to assist with its strategic opportunities. The Company has considered independent offers and feels that working with Corum provides potentially higher value for Ortsbo. The Company has stated that it will provide further updates as they become available. Intertainment Media also owns and operates a number of other key properties including Ad Taffy, itiBiti and Magnum. Reminder: Registration is open for the Wired Woman Vancouver session with Tod Maffin on Deconstructing Viral: How to Build a Killer Viral Marketing Campaign. Serebra Learning Corporation has announced important enhancements to the Serebra Campus learning management system (LMS) that will combine features designed to better service existing clientele with features that will distinguish Serebra as a leader in the industry. Learning Plans: The new learning plan feature offers administrators the unique ability to organize courses into educational paths directly related to employees’ career plans and goals. Learners can review plans that have been assigned to them and track their personal progress. This feature will allow organizations to formalize their training and development programs and effectively manage short and long-term career development of employees. Custom Course Management: The latest release of Serebra Campus allows administrators to upload and manage proprietary SCORM or AICC custom courseware. Administrators can now preview the training before making it available to students and ensure that it is working as they expect. Organizations that create their own content can now track, manage and deliver their courses more effectively and efficiently. Student Training Dashboard: When students log into the system they will now be directed to the My Training Dashboard, which will provide them with a snapshot of their training activity with an emphasis on compliance and learning plan progress. This streamlines the learning experience and keeps students on track with their learning. Edmonton-based Lifelong Learn is proud to offer two new additions to their library of children’s e-books on their website. The children’s books from Lifelong Learn provide an enjoyable reading experience while motivating basic reading skills, left to right progression, turning pages, identifying words through pictures, early research, and much more. The concept books are available to assist caregivers (parents, families, early childhood educators, and teachers) on how to motivate a child’s developmental process. One of the new books offered by Lifelong Learn is called Feelings. This easy-to-read book helps children with identifying feelings. Each feeling is represented in two variations and in two languages. Identification of feelings is a critical skill in the early years of development because it supports the building of positive self-esteem and social competence. Toronto Pearson has announced that the airport will participate in Facebook Deals to offer Facebook users free access to Plaza Premium Lounges at the airport when they check-in to Toronto Pearson on Facebook Places. Facebook Places gives people the power to easily share where they are with friends on Facebook, find friends who are nearby and discover new places. Using an iPhone or by logging into Facebook Touch on a touch-enabled smart phone, 1,000 Toronto Pearson guests each day on January 31, February 1 and February 2, 2011 who check-in to the Toronto Pearson location on Facebook Places will receive a deal redeemable at any of the airport’s five Plaza Premium Lounges. Guests simply show their claimed deal on their mobile phone at any of the lounge locations for free access while they await their flights. A total of 3,000 lounge access coupons are available to be claimed during the 72-hour promotion. Plaza Premium Lounges offer Toronto Pearson passengers food, beverage, showers, internet, business services, newspapers, magazines and television. Toronto Pearson and Plaza Premium have joined together to provide travellers with a unique, common use lounge experience. Every Plaza Premium operated lounge is open to all travellers, irrespective of the airline they are travelling on or class of fare. Rates for the Plaza Premium lounges are a maximum of $35 plus tax per visit. The GTAA is the non-share, not for profit authority that operates Toronto Pearson. All revenue generated by the GTAA is reinvested back into the airport. In 2009, 30.4 million passengers travelled through Toronto Pearson. Toronto’s Centract Settlement Services announced today that its TrendPoint™ application programming interface (API) is now powering smartphones, including Blackberry® and iPhone®. Future Shop has announced the six Canadian high schools that will be receiving state-of-the-art technology labs through donations totalling $300,000 in 2011. Thanks to the generosity of Future Shop’s Future Generation Tech Lab program, selected schools from across the country in British Columbia, Ontario and Quebec will receive $50,000 each to use based on their needs to build new technology classrooms that benefit programs and engagement of students. Launched in 2007, the Future Generation Tech Lab program is designed to give back to the communities Future Shop serves and reduce both the digital and economic divide within Canadian high schools. More than 90 high schools applied for a Future Generation Tech Lab donation, double the amount of applicants in 2010. According to a Student Awards poll conducted by Uthink Online (a subsidiary of StudentAwards.com) on behalf of Future Shop from July 27 – August 13, 2010, 87 per cent of Canadian high school students shared they would take more advantage of technology in school if it were up-to-date and functional. This online survey of 1,000 included Canadian students from grades 10 to 12 demonstrates the need for continuing scholastic support by programs like Future Generation Tech Lab. Burnaby North Secondary School (Burnaby) – As one of the largest high schools in British Columbia, Burnaby North S.S. has only one computer per 18 students. Also, in addition to existing students attending Burnaby North S.S., eight districts send students to participate in the school’s Digital Sound Production and the Film and Broadcast Industry Connect programs. With a large amount of students enrolling in the program, the Future Generation Tech Lab donation is imperative to sustain and expand its services. Norkam Secondary School (Kamloops) – The majority of Norkam S.S.’ computers are either donated or refurbished, and quickly deteriorating. The lack of modern technology is affecting key programs like the Video and Media Technology course which has just eight computers and dated video cameras. The Future Generation Tech Lab donation will be used to upgrade the classroom to bring it up-to-date with new computers, editing equipment and creation of a mini-sound state with lighting and a green screen. St. Joseph’s Catholic High School (Windsor) – Visuals Arts is one of the school’s most popular programs, where classes like photography, graphic design and flash animation create waiting lists each year. Sadly, the four computers and technology used to carry out some of these programs are dated and limit the development of skills for the students. The Future Generation Tech Lab donation will be used to purchase new equipment and provide students with an improved and more creative learning environment. Highland Secondary School (Dundas) – A recent theft and vandalism at the school, 45 year-old machinery that was installed the year the school was built and computers almost a decade old, will soon be upgraded thanks to the Future Generation Tech Lab program. Highland S.S. plans to use the donation money to build a cross-curricular program that features an integrated learning hub for students interested in communications, machinery and Custom Car Design and Drafting (CAD) services. L’école secondaire publique Omer-Deslauriers (Ottawa) – A minority French education school in Ottawa with more than 70 different countries represented in its student body, L’école secondaire publique Omer-Deslauriers is a culturally diverse school with little technology. With only one computer for every six students, Omer-Deslauriers will use their Future Generation Tech Lab to outfit a classroom with equipment to elevate classes in its Information, Technology and Communications program. The new technologies acquired from the donation will fulfill student needs, such as learning audio and video montages, animation and web design. L’école secondaire Cavelier-De LaSalle (Montreal) – Known as a school with a less fortunate student population, L’école secondaire Cavelier-De LaSalle will use its Future Generation Tech Lab donation to boost morale and productivity. The donation will benefit three programs and 25 classes. Technology will be purchased to teach students how to develop communications skill-sets, such as creating newsletters and presentations, as well as provide research and developmental support for the general student body, including those with learning disabilities. Photos of the current state of each classroom above will be available online for viewing beginning February 1, 2011. Reveals of the classroom upgrades and renovations will be shared in September. IBM has unveiled one of the most advanced computing facilities in Canada with the launch of IBM Compute Cloud Centre, the company’s first cloud delivery centre in Canada. This new centre was built to address the growing demand from enterprises to reduce costs, increase efficiencies and access new technologies such as analytics and mobile computing. With the new $42 million IBM Compute Cloud Centre, Canadian businesses can securely develop, host and test applications while paying only for the computational power they use. The platform represents an evolutionary opportunity for organizations to capitalize on the cloud computing model to further grow their social and business applications. Confidential information is protected and kept securely resident in Canada in accordance with Canadian privacy laws. Among the first clients to take advantage of the IBM Compute Cloud Centre’s offerings in Canada are VisionMax, a Canadian-based custom software development firm offering IT solutions, and Buchanan Technologies, an IBM Canada business partner and IT professional services firm whose headquarters are in the USA. Kobo Wireless eReader is now available at Best Buy Canada, both in-store and online. You can pick up the Onyx, Pearlized Lilac or Metallic Silver eReaders for $149.00 each from Best Buy, Chapters-Indigo or Walmart stores across Canada. The 2011 Canada 3.0 conference has opened registration for this year’s event, which will take place in Stratford on May 2nd through 5th. The Early Bird rate of $495.00 + taxes and service charge will be available until midnight on March 3th, when ticket prices will go up to $695.00 + taxes and processing charge. There is a StartUp/Small Business/Non-Profit price available for $225.00 + taxes and service charge as well as ticketing options for students. If you register before February 18th you will automatically be entered for a draw to win a copy of MacroWikinomics, personally addressed and signed by author Anthony D. Williams. Please see the Canada 3.0 web site for this year’s confirmed speakers. Monde Media and Bug Tracker have made two personnel announcements this morning – Jean-Robert Michel, Monde Media’s former General Manager has moved into the dual role of Production Director for both Bug-Tracker and Monde Media, while Monde Media’s former COO has become the new Client Relationship Director for both entities. In other comings and goings, the BC Technology Industry Association announced today that its President, Pascal Spothelfer will leave the organization June 30th to return to the corporate sector. Spothelfer was appointed President & CEO of the BC Technology Industry Association in November of 2007, and since that time has successfully raised the level of recognition of the organization and BC’s technology industry through his leadership, commitment to collaboration, and tireless advocacy efforts. Pascal will continue to lead the BCTIA and work with the board on the leadership transition until his departure at the end of June. A formal search has been initiated by the BCTIA and will be facilitated by Odgers Berndtson. Please contact Caroline Jellinck at 604 602 2556 for more information. Canadian developers seem to have a thing for hippos – here is some info from three Canadian enterprises which contain “hippo” in their names. Rock Hippo Productions Ltd has launched the second closed beta for its cartoon-style third person action shooter, MicroVolts. This second phase of testing will continue for approximately two weeks in preparation for the official release day. In addition, the company has released all-new screen shots of the game and is holding a special “Free-for-All” tournament which will kick off Saturday, February 5th. Winning players will be awarded their choice of any weapon they want to use with the launch of the Open Beta. Players who visit the game’s website will be able to learn more about the game and the events as well as register for a beta key. MicroVolts features fast paced, third person shooter action and pits players against each other in a secret battle that has been waged and going unnoticed right in our own backyard for years. No one knows for sure when or where the first toy declared war but rumor has it that the uprising began with four original limited edition figures, code named MicroVolts. Battle lines were drawn when Naomi, Knox, Pandora, and C.H.I.P.-the prototypes a-were soon joined by an endless number of modified versions. Now, toy figures around the world are engaged in an all-out war for valuable battery resources and supremacy of the Micro World. All we can do now is stay out of their way and wait for a champion to be declared! With a ton of weapons, inventive character designs, and a huge list of customization features, MicroVolts is destined to invigorate and re-energize the Free2play space. Intuitive controls and a third person view make the game easy to play and fun for both newcomers and veterans of shooter games. Game modes include Free for All, Team Deathmatch, Item Match, Capture the Battery, and many more featuring various maps designed by toy concept. Tiny Hippos, a start-up based in Waterloo, has a product which will be of interest to all of you mobile developers out there. According to its site, this product, which is named Ripple Emulator, is a multi-platform mobile environment emulator that runs in a web browser and is custom-tailored to HTML5 mobile application testing. Ripple aims to reduce the challenges being faced by mobile developers caused by today’s platform fragmentation in the marketplace. Meanwhile, just down the highway a bit from Tiny Hippos is Mercury Grove, an Ottawa-based developer who has an enterprise called Network Hippo, which according to Mercury Grove’s site connects to users’ email, address books, and social networks to consolidate all of their professional contacts, remind them to stay in touch with important people, and makes it easy to connect online or through email. Mercury Grove also offers a service called Web Collaboration, which is an online workspaces for internal teams, partners, and clients. Unlike other team sharing services, Web Collaboration can be setup in minutes and requires no download, installation or administration. Another collaboration-style service I stumbled across is Vancouver-developed Jostle. I found this site because the person behind Jostle’s Twitter account retweeted one of my Game Design Expo live tweets. According to the Jostle web site, a People Engagement Platform™ that glues enterprises together. This platform enables innovative companies to clarify their organization, reveal hidden expertise and engage their employees. Jostle is enterprise software that is accessible from any web-enabled device and works like a website, without the need to install software. Toronto’s Blue74 Labs has released a statement announcing that IIA, the studio’s critically acclaimed real-life massively multiplayer “outdoor” role-playing game sold tens of thousands of memberships in the first 48 hours of its release, making it the fastest-selling ARG game of all time. The IIA Spy Game is being compared to blockbuster hits “The Game”, “Spy Game”, and “Halting State”, a book by Charles Stross. The IIA (International Intelligence Agency) is a real life multi-player game that gives players a real life, real feel, “off computer” role-playing game. Players don’t know about the actual game play until they are engaged in the game, which was made globally available on January 24th via a small posting on the popular “Ycombinator: Hacker News”, a web site for Internet start-ups. Expectations were less than 100 memberships to be sold the first day, Mike Curry noticed a very heavy load on his web server – realizing the game had gone viral. Registration for the game is $5.00, which interested players send via PayPal. The company does have an official site for the game, however they are not releasing the information until its members exercise a critical classified mission. It’s believed that the mission entails a Remote Controlled UAV helicopter taking aerial photographs of the building that houses their website. It’s believed they are doing this to ensure the security of the building. In an article released yesterday on Gamasutra, Nexon America VP of Business Development Won Il Sue spoke with reporter Chris Nutt about the million dollar Nexon iNitiative, during which the publisher asked for game dev submissions from studios around the world. Coming out at the top of heap with signed deals: One2Tribe from Poland, and Ontario studio Antic Entertainment. Nexon did not reveal exactly what type of game the London, ON Antic team is working on, other than to say one of the studios is working on a Facebook game and that both games, while somewhat of an unusual nature for Nexon, will be of the social media genre. In the meantime, check out Antic’s free to play Junk Battles, a browser-based free-to-play fast-paced vehicle combat game. All’s fair in love and war in cartoon-land as TeleToon Retro couples pursue the love of fans and a spot in TeleToon Retro’s Hall of Fame as the Top 5 Sweethearts in honour of Valentine’s Day. Starting today and running until Sunday, February 6, viewers can vote online for their top 5 favourite cartoon love matches, for a place in TeleToon Retro history. Following the voting period, the Top 5 Sweethearts will be announced on Friday, February 11 and a special programming marathon featuring all five couples will air as part of the “Retro Rewind” programming block on Sunday, February 13 from 1 p.m. to 4 p.m. ET. These winners will be inducted into the TeleToon Retro Hall of Fame, joining the Top 5 favourite cartoon characters of all-time as chosen by the fans in December 2010.
marblemedia has announced that the studio has begun production on an original cross-platform series and website for History Television, which will take audiences through the naming of Canada’s most notable people, places and things. From Chef Susur Lee’s new restaurant to a new small-town beer to a team from the Women’s National Hockey League, the series will explore the history and origin of names. The original concept began as a website, and has expanded into a 13-part TV series. The yet-to-be named property will premiere on History Television fall 2011. 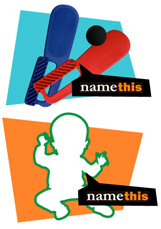 Parallel to pre-production, marble’s Gemini Award-winning interactive department launched Namethis.ca, a nation-wide contest allowing Canadians to submit name suggestions. Some of the most intriguing and thought-provoking names will be profiled in the forthcoming TV series. Even the TV show itself will be named through the contest. To date, nearly 45,000 Canadians have registered their unique name suggestions. The contest closes in April this year. Each TV episode will take viewers through the process taken by corporations, entrepreneurs, and even well-known personalities in making a final decision on what to call their soon-to-launch product. The contemporary storyline launches into the fascinating history of where names have come from through the centuries. The project’s Series Producer is Maggie Sutcliffe, an award-winning factual producer who has worked for major UK broadcasters – BBC, Sky, Channel 4 and ITV. Maggie worked as Co-Executive Producer on Weird or What with William Shatner, which is a top-rated, primetime series airing on Discovery Channel in the U.S. and History Television in Canada. marblemedia is building an immersive website that will extend the brand to new audiences with a fun, re-playable social experience. Visitors will be able to uncover the roots of a name, its place in history as well as its global popularity. They will also be able to share the fun through Facebook, helping friends to experience their own names in new and surprising ways, further extending the audience reach. Activities, quizzes and games will contribute to a dynamic, ever-changing dashboard that will use eye-catching design and creative visualizations to turn a name into an adventure. 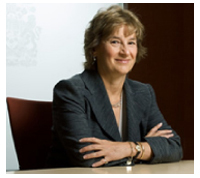 The Internet lets you share information with anyone, anywhere, at any time, but not without some peril to your privacy, Canada’s Privacy Commissioner Jennifer Stoddart warned today. You may not realize it, but whenever you go online, you’re building an identity through the words and images you post and the activities you do. This can become part of your reputation, and it can be a lasting one. Once personal information goes online, it may be difficult to delete. While you may be able to delete it in one place, there may be cached versions or copies stored elsewhere that you cannot control. Digital storage is cheap and computer memory is plentiful. “And, unlike people, the Net never forgets,” Commissioner Stoddart says. So it’s important to think about what you’re doing online, and to always protect your information. The quantity, accessibility and persistence of personal information online affect privacy in ways that are of mounting global concern. Governments, privacy professionals, corporations, academics and students from around the world are marking the annual Data Privacy Day to help raise awareness about the impact that technology is having on our privacy rights and to promote the protection of personal information. In recognition of Data Privacy Day, the Office of the Privacy Commissioner of Canada will be running an online draw for prizes and sharing its Data Privacy Day resources, such as posters and fact sheets about protecting personal information on mobile devices, with other privacy regulators and organizations. OCRI’s annual Knowledge-based Industry Survey shows that as of December 31, 2010, the number of companies in Ottawa’s knowledge-based sectors has increased by 4.7 per cent while the number of employees has decreased by 4.4 per cent. OCRI collects and verifies information provided by the companies to present the most complete picture of Ottawa’s technology industry across 12 unique industry sectors. The most current data indicates an increase of 4.7 per cent in the total number of companies to 1,944 up from 1,857 last year. The largest growth was seen in small companies with one to nine employees (up 11.4 per cent) and those with 100 to 499 employees (up 10.1 per cent). Overall, the number of employees has decreased from 78,067 to 74,611 or down 4.4 per cent. The most significant changes in employment can be seen in large companies with more than 500 employees (down 14.3 per cent). The biggest winner in the region is the Digital Media sector posting a 54 per cent increase in the number of companies and 50.9 per cent increase in the number of employees. Well accepted as a trend to watch in 2011, digital media, which includes mobile apps, gaming and animation, is likely to see even more activity in 2011. For the fourth year in a row, the cleantech sector demonstrated growth. The number of companies has grown from 114 companies to 138, an increase of 21.1 per cent while the number of employees grew 22.1 per cent, up from 2,567 to 3,135. Please see the Study’s information page for more graphs. According to the survey, IBM (including IBM Software Lab and IBM Canada) is the region’s largest knowledge-based industry employer with 4,000 employees followed closely by Bell Canada with 3,258 employees. The loss of Nortel, which posted 3,000 employees in last year’s survey, did factor into the overall loss even though Ciena, Avaya, Ericsson and GenBand did acquire most of this staff.